In a Dutch oven or pot, heat the EVOO over medium-high. Add the beef and cook until browned. Add the frying pepper, onion, garlic and paprika; season with salt and pepper. Partially cover and cook, stirring occasionally, until the vegetables are tender, 6-8 minutes. Add the tomatoes and stock and simmer the goulash until slightly thickened, about 10 minutes. In Recipes-list.com we have selected the most viewed recipes from category - uncategorized . Enjoy the best recipes specially selected for you! 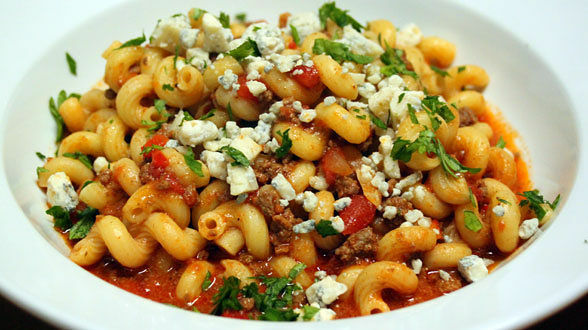 Beef Goulash with Blue Cheese is the right choice that will satisfy all your claims.